While you’ll be able to deduct the RPP contributions for your current service (or for past service for 1990 onwards) on your 2017 return, it’s important to note that you won’t be able to carry forward the amount you don’t deduct for use in future years. In certain cases, you might be able to deduct part of the past service contributions you made for 1989 or earlier years. For more information, refer to the CRA’s Guide T4040: RRSPs and Other Registered Plans for Retirement. Usually, your RPP contributions are reported on your T4 (box 20) or T4A (box 032) slip. Sometimes however, you’ll simply be issued a receipt from your union or plan administrator. 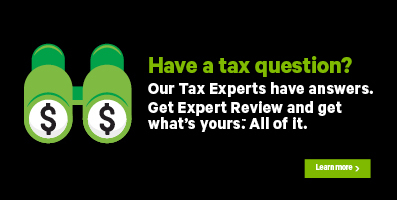 How you enter your RPP contributions into H&R Block’s tax software will depend on how you received this information. For more information, refer to the Revenu Québec website. In the search field, enter the slip you received (T4, T4A, or RL-1) then click the highlighted selection or press Enter to continue. When you arrive at the page for your slip, enter your information into the tax software. Under the heading, PRPP and RPP, select the checkbox labelled Registered pension plan receipts, then click Continue. In the search field, enter RPP or Registered Pension Plan then click the highlighted selection or press Enter to continue.